We offer offshore Seawater Desalination Plant, which has a compact portable footprint and automatic flushing functions. 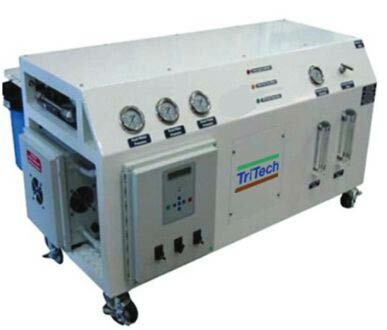 This Seawater Desalination Plant has digital-operation and requires minimal manual help.Tritech’s membrane technology is the main principle of operation for Seawater Desalination Plant. We offer this Seawater Desalination Plant in varied industrial specifications.